World-class infrastructure, healthcare, education and safety, not to mention clean food, air and water – the Netherlands is widely-regarded as a well-run country, but all this doesn’t come cheap. Paying high taxes is a fundamental of Dutch life born out of the country’s medieval origins, when pioneering farmers all chipped in to the collective effort to drain peat bogs and build dykes to protect a country which lies largely below sea level. The Dutch even have an expression for it: “Please, Lord, give us our daily bread and once every 25 years a flood, to remember why we have to pay taxes.” Those who want to enjoy what life in the lowlands has to offer and stay dry while they’re at it are going to have to pay for the privilege, with the Netherlands featuring some of the highest taxes in the world – and that’s before counting healthcare, which unlike in many big-taxing European countries is not free. The majority of the population pay taxes based on their income as employees, usually deducted automatically from salary payments as payroll tax, including social insurance payments. Even for low-income earners there’s not much relief, with the first tax bracket kicking in at 36.55% for the first €19,000 earned. Middle-income earners ramp up to a rate of 40.80% for €19,982 to €67,072, while at the top end the majority of money goes to the government, with earnings above €67,072 levied at 52%. For the simplest cases of employees who work a full year and pay payroll tax, there might not even be a need to fill out a tax return, but expats tend to arrive in the Netherlands under more complicated financial circumstances that might include money earned abroad, and going to an accountant can help reduce the tax bill and avoid making errors that incur fines. Blue envelopes don’t only get sent to people who forget to pay taxes – they get sent to those who don’t do their paperwork correctly. One of the biggest mistakes Dantzig said expats make on arrival is submitting the incorrect document. “The standard Dutch income tax return can be done online, but what people don’t realise is they need to do a different one the first year they arrive from abroad, so they waste time doing the wrong form,” she said. “It’s a special document for the year of immigration, which is only paper not online, and about 50 pages long.” Making this mistake with the first tax return could see an expat pay too much, as payroll taxes are deducted based on estimated full-year earnings even if the employee hasn’t been in the country for a full year. The Dutch financial year aligns with the calendar year, beginning on January 1 and running through to December 31. Tax returns need to be submitted by May 1 of the following year. Those not able to file before this date can request an extension. Maurice Witlox, independent tax advisor with Witlox Tax Advice, told the Holland Times there are a lot of advantages expats miss out on because they are not familiar with the Dutch system. “For instance, they can deduct their mortgage from their former home while it’s still for sale,” he said. Although the tax rate is high in the Netherlands, Witlox said there were some unique advantages. “In Holland you don’t pay tax on capital gains as an individual, which is big difference to UK or US taxes,” he said. Buying a house or business does however incur a transfer tax of 2% of the property value. Wealth in a more general sense is taxed, based on the calculated value of one’s assets on January 1 minus debt. For working-age people in 2017, assets with a value of up to 25.000 euros as an individual or 50.000 euros as a couple are exempt from this, but beyond that assets up to a value of 75.000 euros are taxed at 0.87 percent, between 75.000 and 975.000 euros are taxed at 1.41 percent, and in excess of 975.000 euros at 1.65 percent. The IAmExpat online information portal details a whole host of other taxes that apply to specific circumstances. One of the most common applies to goods received or imported from abroad, including those purchased online, worth more than 45 euros require an import tax payment of 2.5% in import duties and BTW (Belasting Toegevoegde Waarde, the equivalent of VAT). The government will even take a cut if you win a hand of poker, claiming a share of gambling winnings – 29% must be paid on prizes worth more than 449 euros won in any game of chance. There are also inheritance taxes, gift taxes and environmental taxes, including those that go to the water boards protecting the Netherlands from flooding. Where tax management can get particularly complex is for self-employed people. Dantzig said there are additional steps to take for those setting up a company. “If they want to run a company or freelance, it is different to being an employee,” she said. “We check first the reason someone is coming to the Netherlands – if they are a freelancer we advise they need to register with the Dutch Chamber of Commerce (Kamer van Koophandel or KvK). “Once they are living and working here they need to file their VAT every quarter.” Those setting up larger-scale businesses may wish to set up a limited company (BV), but there are more financial and legal obligations, such as obtaining a notarial deed of incorporation. Freelancers, widely known as ZZPers (zelfstandige zonder personeel), can team up to create “If you ever receive a blue envelope… beware!” – Dutch taxes explained Photo: Cathy a general partnership (VOF), or work as a lone wolf by filling out an Eenmanszaak form. To qualify as a ZZPer, the tax office will examine the activities performed, and the degree of independence with which the ZZPer works, and how many clients they have – at least three are required otherwise it falls to another category that sits between freelancer and employee. Most self-employed persons need to charge BTW to clients at a rate of 6% or 21% depending on the work, and then pass that over to the government on a quarterly basis. The 6% rate applies to products and services including food and drink, agriculture, medicines, books and daily newspapers and magazines, while the 21% rate applies to most other services and products, according to the Belastingdienst. Some educational and medical products and services are BTW-exempt, as is the work of journalists, composers and authors and those supplying goods and services to foreign countries. ZZPers pay income tax, but only on the profit made after expenses are taken into account, including deductions for travel, office supplies, telephone and internet expenses, professional development, and of course all the fees you’ll be paying your accountant to deal with this in the first place. Certain self-employed persons can be eligible for a host of other deductions. 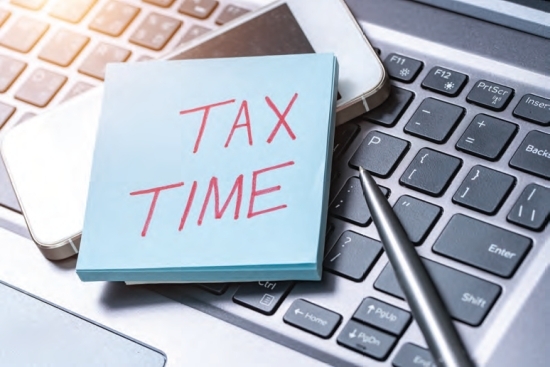 Logging hours worked is important, as those who spend more than 1,225 hours a year on their business could potentially claim the self employed deduction of €7,280, a new business starters deduction of €2,123 and the Small and Medium Enterprises deduction of 14% of the remaining profit. The self-employed aren’t the only ones eligible for deductions – employees in certain circumstances can also reduce their tax obligations. In 2017 a general tax credit of €2,254 euros is available for anyone with a taxable income below €19,982 euros, which scales proportionally down to zero once the taxpayer hits €67,068 euros in earnings. The tax credit is supposed be applied automatically to salary, so there should be no need to do anything to access this. Then there is the labour tax credit, which is €3,223 euros for those with an annual income between €20,108 and €32,444 euros, and proportionally dropping down to zero for those earning above €121,972 euros. There is one particular discount available even to high-earning expats – provided they have the skills the Netherlands needs. Witlox told the Holland Times those eligible for the rule can make significant savings. “The ruling means 30% of your remuneration, salary, bonuses, and company car are not taxable – the other 70% is taxable against normal tax rates,” he said. “It applies to highly-skilled migrants, in general we look at salary level – when the agreed salary is over €56000 we believe an application can be made. “There is a separate category of people under the age of 30 with a Masters degree who can come in with a lower salary level.” “There are certain other benefits – for instance a US person with the 30% ruling does not have to pay income earned while on a business trip out of country.” To qualify, the employee needs to have skills that are scarce in the Netherlands, to have been recruited or transferred from abroad, and to have lived more than 150 km from the Dutch border for more than 24 months prior to working in the Netherlands. The maximum duration the 30% tax ruling can apply to a taxpayer is eight years. There are other benefits to qualifying for the 30% ruling – for instance it is possible to exchange your foreign driving licence for a Dutch licence without having to resit the driving test. The Belastingdienst advises that most people who live in the Netherlands are compulsorily covered by Dutch national insurances schemes including the General Old Age Pensions Act, (AOW), Surviving Dependence Act (Anw), General Child Benefit Act (AKW), Exceptional Medical Expenses Act (AWBZ), and the Healthcare Insurance Act (Zorgverkekeringswet). It advises that if you also work in the Netherlands, you are also covered by the employee insurance schemes, such as the Unemployment Insurance Act (WW) and Sickness Benefits Act (ZW). 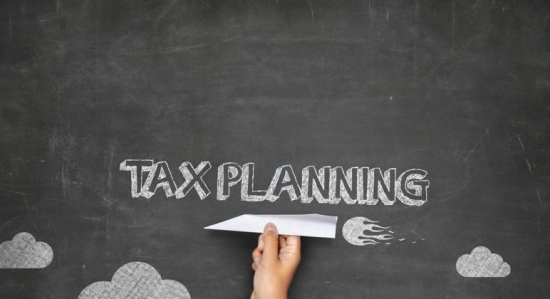 Most of these insurance schemes are included in the income tax payment. One area that requires additional spending is in healthcare insurance. In the Netherlands it is compulsory to purchase a healthcare insurance plan. The cheapest standard plans start at roughly 100 euros per month, although these will often require a significant excess to be paid if medical services are used. Lower-income people can be eligible for the Zorgverzekering (healthcare benefit), which scale depending on income to a maximum of €735 in support for singles and €1,548 for couples, according to the Zorgverzekering Informatie Centrum. Income may not exceed €27.857 euros per year for singles, or €35,116 euros for couples. The newly-elected Rutte government is planning to introduce changes that would see income taxes reduced for higher earners, partly paid for by an increase in BTW. The current four tax brackets would be reduced to two, with those earning up to €68,600 paying a rate of 36.93% and those earning more paying a rate of 49.5%. The low BTW rate of 6% would be raised to 9% percent. A home mortgage interest deduction would also be reduced under the plans, which could be introduced for 2019 or 2020. The Rutte government also plans to reduce the tax rate for big corporations from 25% to 21%, and is scrambling to respond to the revelations detailed in the Paradise Papers leak that reveal how multinational companies make the most of loopholes in the Dutch tax system.